The season of Haleem is back to Hyderabad with the holy month of Ramadan commencing on June 14 or 15 this year. Hyderabad celebrates the season with its cosmopolitan populace every year. Haleem festivals are organized at different places in the city. Last year, the city’s brand restaurants including Pista House, Paradise, Sarvi, Shah Ghouse, Shadab, and Bawarchi treated the natives and the expats to the authentic taste of Haleem garnished with nuts and raisins amidst soulful notes emanating from a live Ghazal concert, which lent a feel of the Arabian ambience to the venue, Shilparamam, the handicraft village market. The season of Haleem in Hyderabad is the season of culinary bliss for foodies. Why do the foodies in Hyderabad go gaga over Haleem during the Ramzan month? Why does Haleem in Hyderabad rule the taste buds? Indian Eagle explore when and how the City of Nizams developed a bond with Haleem. 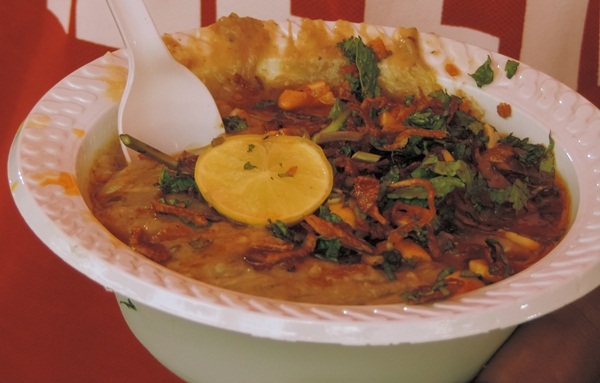 If the origin of Haleem is traced, it is found to be an Arabian dish. Hyderabadis owe their love for this festive delicacy to the Arabians who introduced it when the Nizams were in power. Mehbub Ali Khan, the sixth Nizam of the then Hyderabad Princely State, added the Arabian dish to the royal menu. Mir Osman Ali Khan, the seventh Nizam, made Haleem a part of the traditional Hyderabadi cuisine. Then, Saif Nawaz Jung Bahadur, an Arab chief from Yemen and a courtier in the regime of Mir Osman Ali Khan, popularized Haleem as an authentic flavor of the city. Then it evolved into a taste of Hyderabad with a blend of local spices and ingredients, which is different from the Arabian recipe. With the time passing by, Hyderabadi Haleem became a unique delicacy of meat, lentils and pounded wheat. Today, Haleem is as popular as biryani in the city. Much like biryani, it has been integral to the culinary identity and food culture of Hyderabadis for years. 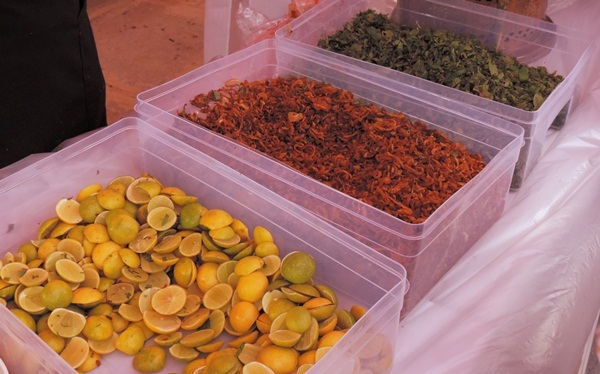 It is mostly consumed as an evening meal after the day-long fast in the month of Ramadan. It is available in the market only during the Ramzan month of the year. It was the first non-veg item to be granted Geographical Indication Status for its mounting popularity. Hyderabadi Haleem is a great hit with the taste buds of not only the Muslim populace of the city but also the people of other communities. A high-calorific and nutritive dish, Haleem is the most common thread of harmony among several different communities in the social fabric of Hyderabad. Travel Beats is a digital community portal by Indian Eagle, a leading international travel organization. It publishes interesting stories of food, travel, culture, heritage, aviation, philanthropy and innovation in India and USA.